Signed by the author - stock is extremely limited. Please note, this title is ten years old, and so will not look as new as a recently-published title. However, the books are clean and tight, have no lean, although they do have some tanning to the text block. Synopsis : Margaret Atwood's classic novel, THE HANDMAID'S TALE, is about the future. Now, in ORYX AND CRAKE, the future has changed. It's much worse. And we're well on the road to it now. The narrator of Margaret Atwood's riveting new novel is Snowman, self-named though not self-created. As the story begins, he's sleeping in a tree, wearing a dirty old bedsheet, mourning the loss of his beautiful and beloved Oryx and his best friend Crake, and slowly starving to death. Earlier, Snowman's life was one of comparative privilege. How did everything fall apart so quickly? Was he himself in any way responsible? Why is he now left alone with his bizarre memories - except for the more-than-perfect, green-eyed Children of Crake, who think of him as a kind of monster? He explores the answers to these questions in the double journey he takes - into his own past, and back to Crake's high-tech bubble dome, where the Paradice Project unfolded and the world came to grief. 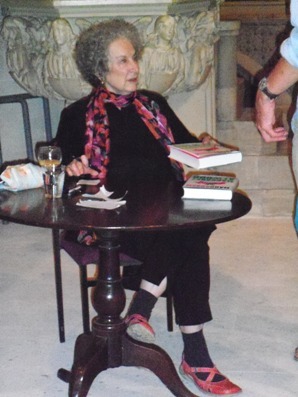 With breathtaking command of her shocking material and with her customary sharp wit and dark humour, Atwood projects us into a less-than-brave new world, an outlandish yet wholly believable space populated by a cast of characters who will continue to inhabit your dreams long after the last chapter. 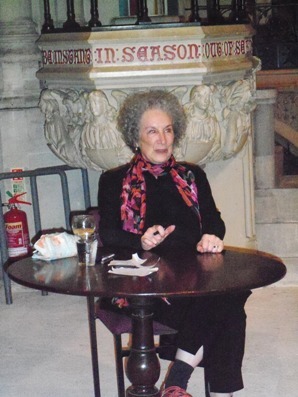 This is Margaret Atwood at the absolute peak of her powers.